Is your property not connected to the city sewer system? You must have a septic system to handle your waste disposal needs. 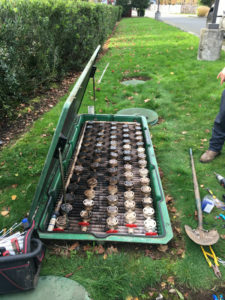 You need to have septic tank pumping services every three to five years, depending on the size of your septic tank and the average amount of waste generated daily on your property, to keep it operating correctly. No matter how frequently you need to have septic tank cleaning done, make sure to call in only well-trained, experienced professionals. We are also careful that our septic tank pumping work in Mineral properties is done in accordance with the current local environmental laws. 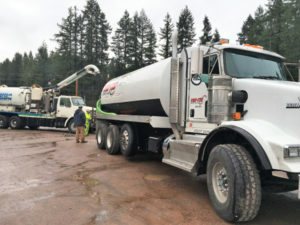 Why Should Mineral Residents Choose Us for Septic Pumping? The last thing you need in your hectic family and work life is the stress of dealing with unprofessional septic pumping experts. 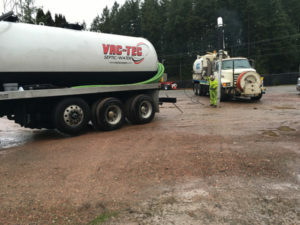 Just because septic tank cleaning is not a do-it-yourself job does not mean that you have to accept being exploited by the septic service provider you hire. With us performing septic pumping job, you can expect it to be done well and to your full satisfaction. Get in touch with VAC-TEC LLC. to know more about the septic pumping services it offers for Mineral residents. Call Tacoma – (253) 777-4887 Seattle – (206) 339-0039 Olympia – (360) 338-6686 North Dakota – (701) 566-0045 now.